If you know your open chords, then you'll know that we classify chords as either major or minor. With power chords, we remove the 3rd, which takes away the major or minor tonality of a chord which allows us to use these chords in place of both major and minor chords of the same root. We'll be looking at four power chord shapes that you can do this with. E Power Chord Shape: First, we'll look at the standard E power chord shape. 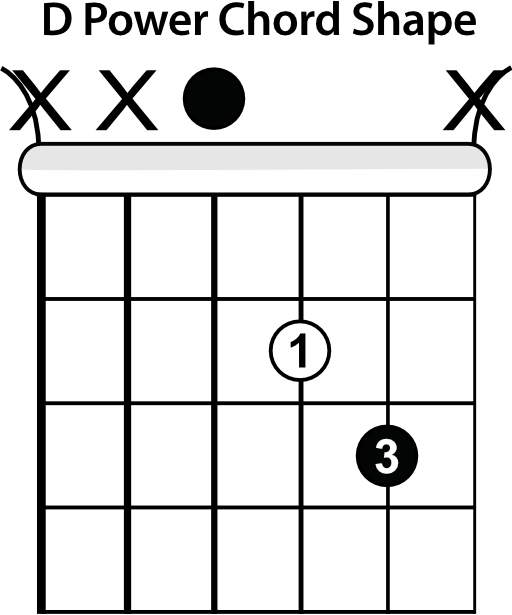 For this shape, we just need to take away everything below the D string and only play the bottom three strings. 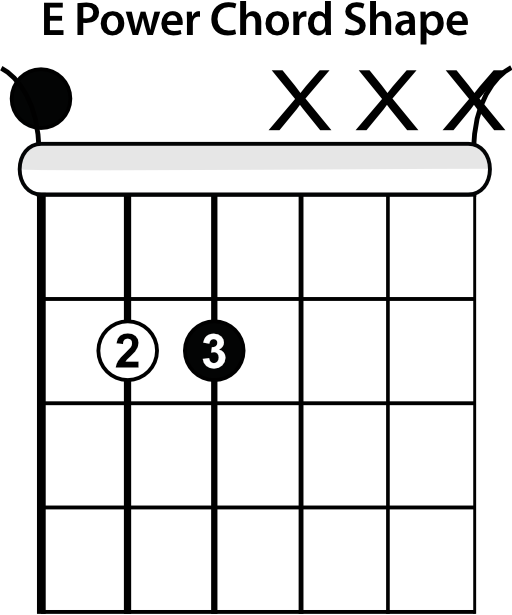 A Power Chord Shape: The next shape is another one you might know, and that's the A power chord shape. This one looks identical to the E power chord shape except you'll be moving up one string. So you'll be playing the A, D, and G strings and leaving out the rest. 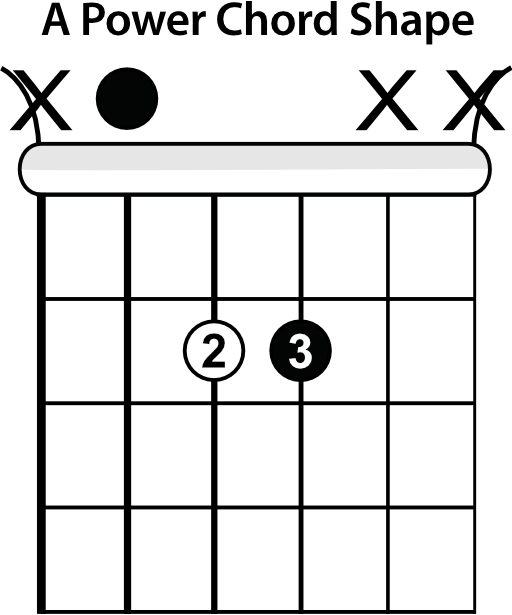 G Power Chord Shape: For the third power chord shape, we'll be looking at another chord you already know. To turn our open G major chord into a power chord, we just need to add our 3rd finger to the 3rd fret of the B string. We also need to mute the A string. This removes both 3rds in the chord and turns it into a power chord. 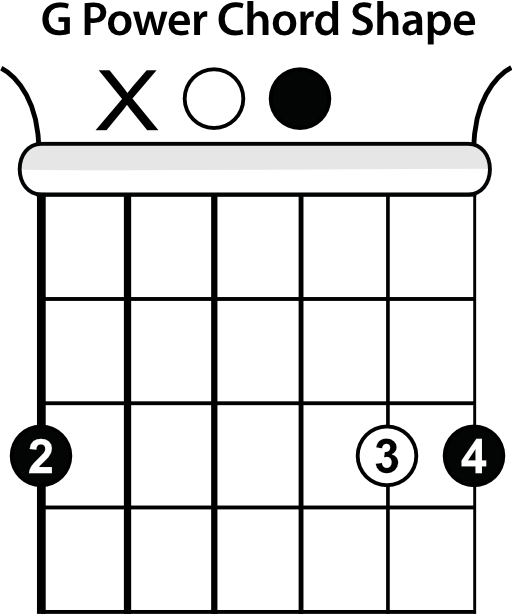 D Power Chord Shape: The last power chord shape is the D power chord shape. 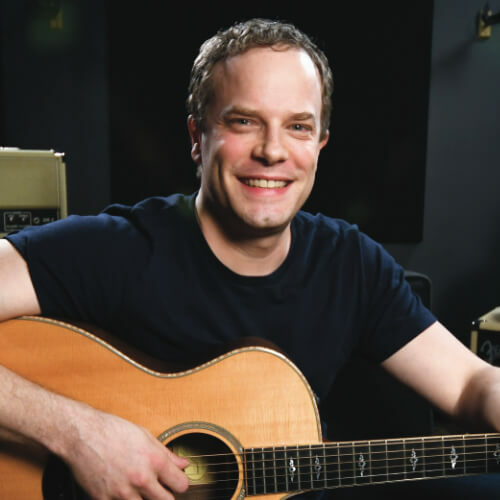 The D shape is under-utilized by guitarists and is a great way to explore some different tonalities. All you need to do is use the regular open D major shape and mute the high E string. Once you've got these shapes down, you can download the jam track and play along. There are two sections to the song that alternate back and forth using these chords. Start slow, and work on this tune in your daily practice time.